We specialize in delivering the highest-quality back-painted glass, glass marker boards and magnetic marker boards. 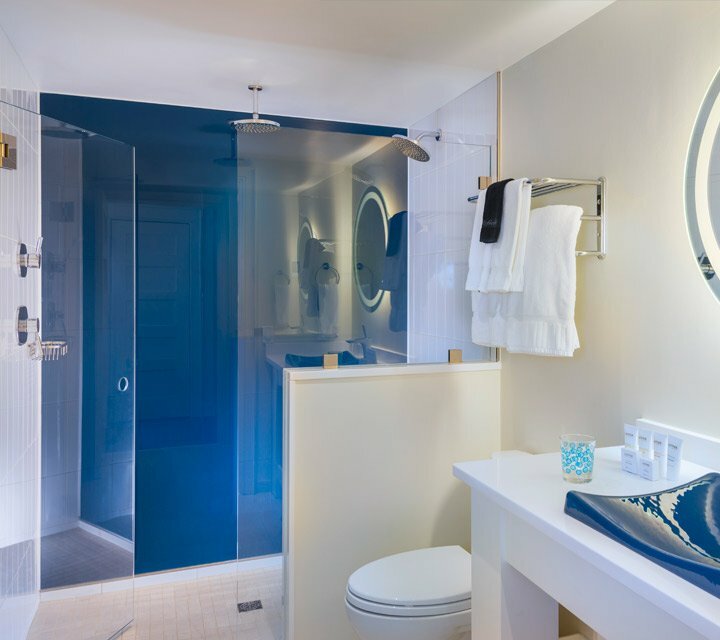 From corporations and retail stores to hotels and restaurants, businesses are discovering the appeal of back-painted glass. Back-painting is a glass-coloring technique that transforms the otherwise transparent material into an opaque, artistic masterpiece. Expert glass fabrication companies strategically color the reverse side of a piece of glass using advanced equipment renowned for precision, including roll-out machines, drying furnaces and tempering ovens, to ensure the finished product is evenly covered. 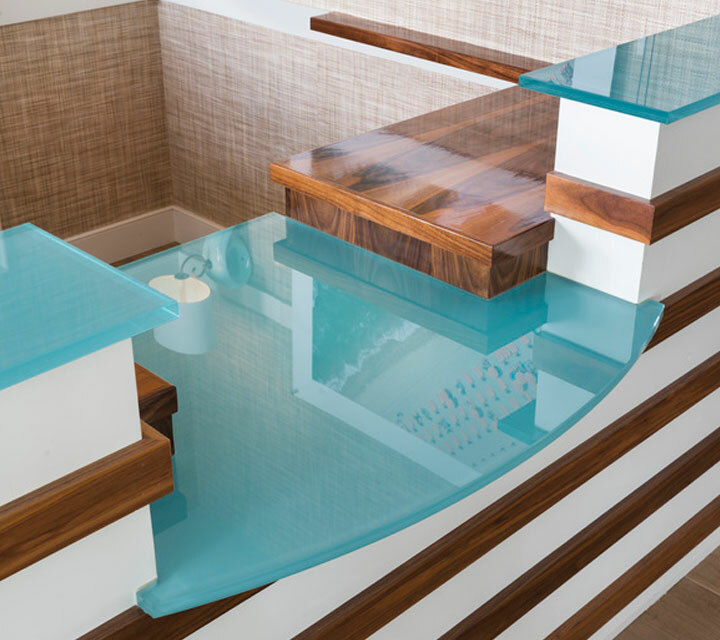 If it’s a hotel reception desk countertop, for example, the painted side of the glass will face down when installed. If it’s a marker board, the painted side will face the wall. By coupling the beauty of back-painted glass with its practicality, you’ll have a winning combination for endless applications. There are a wide range of interior products that can be back-painted for use in various commercial interiors. 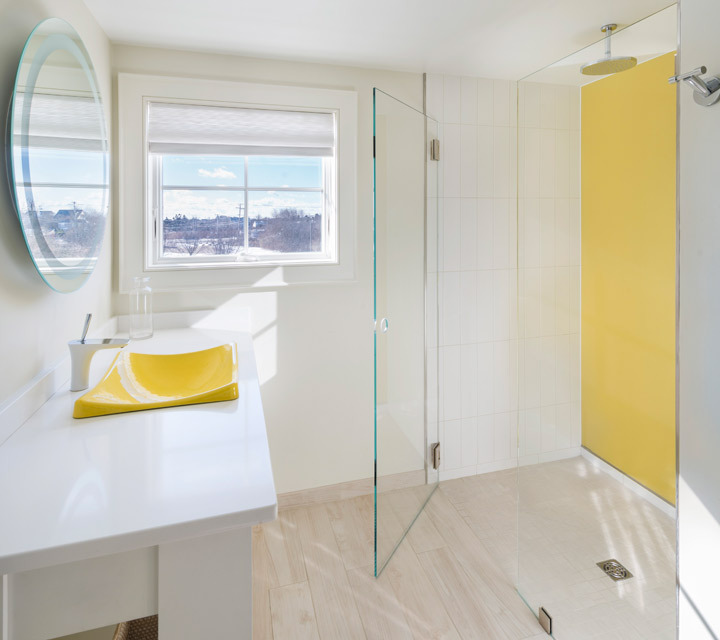 What Are the Benefits of Using Back-Painted Glass? It’s important to create a functional, but aesthetically pleasing environment in any commercial space, whether a retail store, corporate headquarters, hotel, academic institution or fitness center. 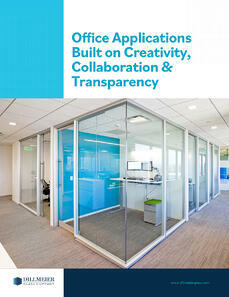 Back-painted glass enables architects and designers to achieve this, along with its associated benefits. Glass as an interior design component isn’t anything new—it’s been used in commercial and residential buildings for a long, long time. While other trends come and go, glass is consistently utilized in numerous applications, many of which serve various purposes and design themes. The pop of color back-painted glass brings to an interior space enriches the design and atmosphere, keeping it classic while providing a modern twist. One interesting fact about glass is that it can be recycled repeatedly. This makes it an eco-friendly design option. Because of its non-porous surface, which doesn’t allow air or water to pass through, glass isn’t as vulnerable to corrosion or bacteria and mold. Although both are still possibilities, these are very slight when compared with other materials—as long as it’s regularly cleaned. 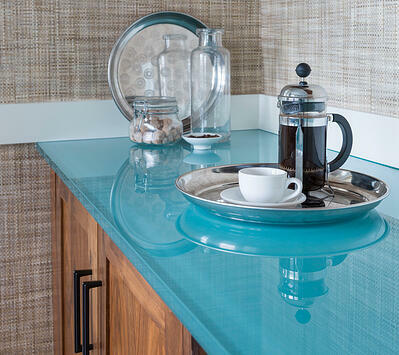 Back-painted glass tends to be more versatile than other materials, such as granite and marble, for example. This is due to its ability to be customized. Aside from being painted to match the designer’s vision, which we’ll get to next, it can also be cut and shaped to fit the space perfectly. How Many Back-Painted Colors Are There? There are standard back-painting colors you can typically choose from. 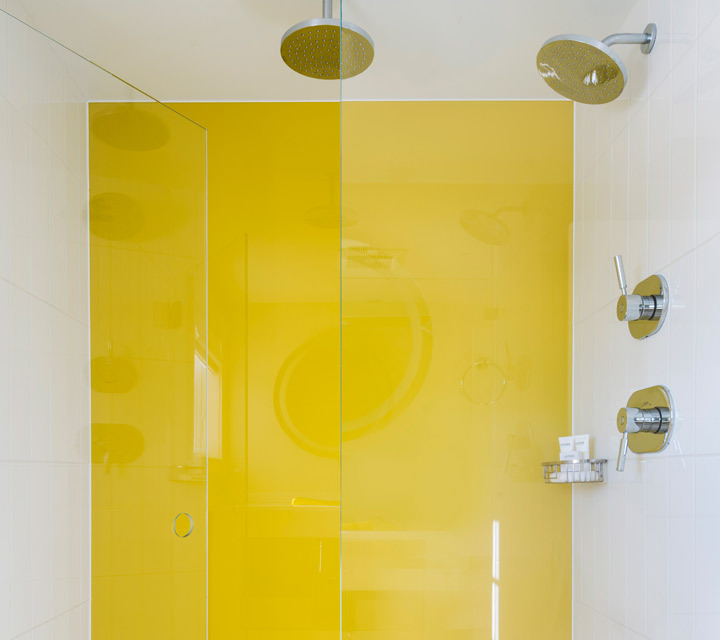 Depending on the glass fabricator you work with, these include yellow, blue green, grey, purple, red and orange, as well as other basic hues. However, color-matching capabilities widen your options, so you can match the brand, logo and/or décor of any business, giving the finished product a personalized look. As discussed in one of our case studies, which focuses on a project for Rhode Island-based Digs Design Company, creating a custom color that matches the ceramic frit paint takes efficiency and precision. Starting with eight base colors, we carefully mix them—weighing to the thousandths of a pound—to duplicate the color our customer wants. To obtain high-quality back-painted glass, you’ll need to hire a commercial glass fabrication company that specializes in such a skill. 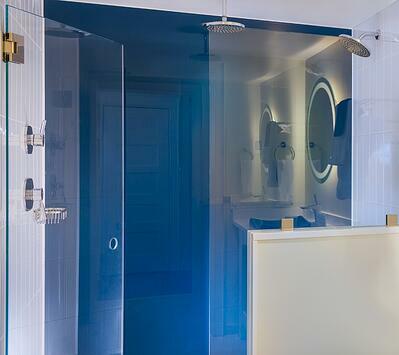 With the Dillmeier Glass Company’s help, you can size, shape, paint and complete your spec, delighting your clients with an extraordinary finished product. Contact us today for more information.